One of my pet peeves is when history books don’t include maps. I’m no cartographer (in fact, I’ve never even met one), but I love a good map. When I look at one and replay the narrative of an historical story over in my head, everything just seems to make more sense — I’m also able to remember what I’ve read far easier and the visual helps push the facts into the long-term memory of my brain. But many books from first-rate historians keep us starved. Let me pick on some of the books I’ve read recently: Goodwin’s Team of Rivals: no maps; Chernow’s Alexander Hamilton: nadda; Rakove’s Revolutionaries: zilch…and no pictures either! (ok, I haven’t read this one yet…it was a Christmas gift from my brother…but I did flip through it looking for illustrations); Lacey’s Great Tales from English History: got nothin’. So why don’t more books contain maps? Why the dearth of diagrams? The paucity of plans? Are they really more expensive to include than photos? Do the authors expect us to have atlases by our side while we’re reading? A great model for how to use maps effectively is McCullough’s 1776 (also one of my favorite books in 2011). 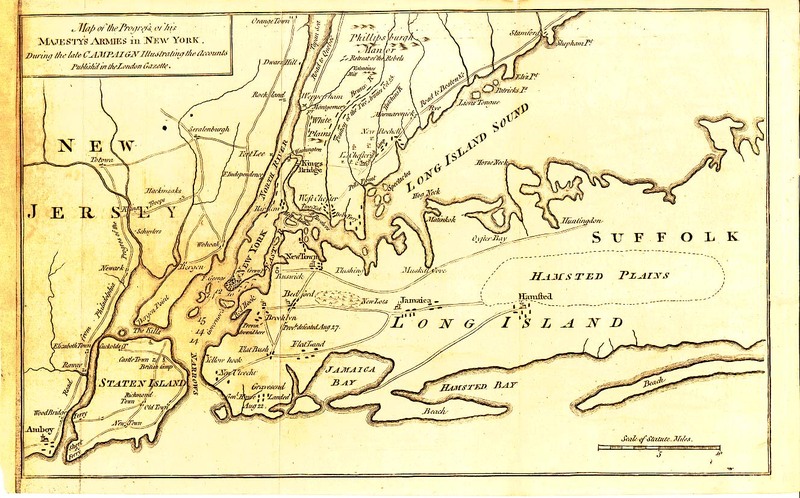 In helping to illustrate the battles in Boston, New York, and New Jersey (Trenton and Princeton), he includes three beautiful maps which include legends of troop movements. Simple, clear, and memorable. I’m not greedy — I’ll even take just one map per book. Show us some love!